Weâ€™ve just completed a fantastic Growth Sprint workshop delivered by AJ & Smart and Form in Manchester at the imposing Gorton Monastery. The workshop is part of Amplify, a Business Growth Hub initiative to help a cohort of 14 companies (including DigitalBridge) to focus on business growth. In the space of two days, a team of senior leaders from our company have worked together to design 14 business growth experiments, prioritise them and define key actions to execute over the next few weeks. Not only that, but weâ€™ve learnt how to effectively work as a team in a disciplined way to identify challenges and plan efficient ways to overcome them. A Growth Sprint is the hybrid offspring of mashing up two processes: the Design Sprint and Growth Hacking. Design Sprints have been around for a while now, but have been really picking up steam lately. Developed at Google Ventures by Jake Knapp to help their portfolio of startups, they are typically a five day process for answering critical business questions through design, prototyping, and testing ideas with customers. The Design Sprint gained popularity after Jake published Sprint, a book which detailed exactly how to run your own Design Sprints. 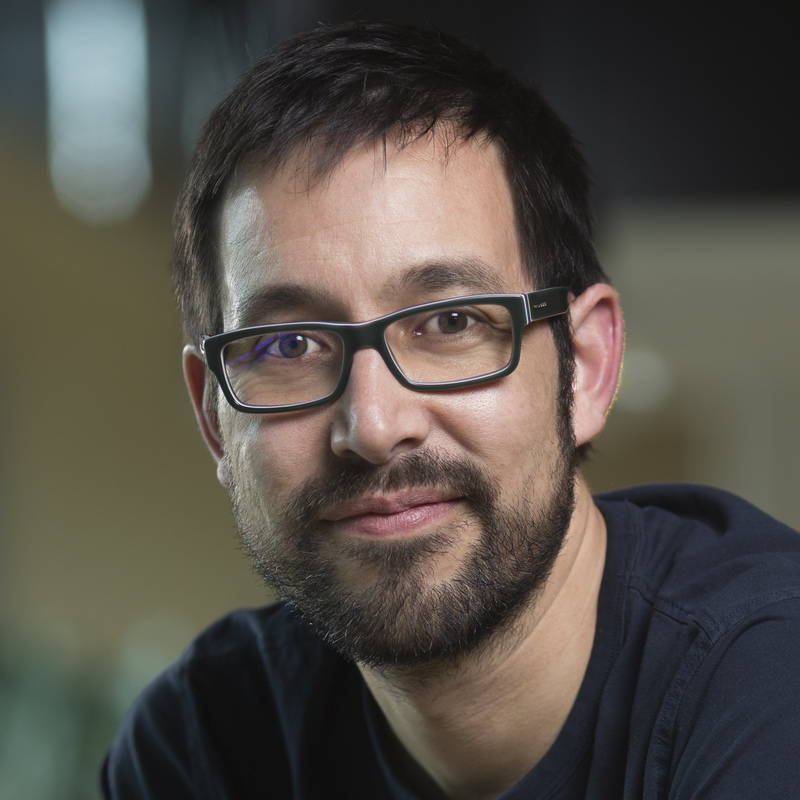 More recently, he has worked with Berlin-based design agency AJ & Smart to update the process (ingeniously named Design Sprint 2.0), which compresses some of the exercises into a more manageable 4-days. Growth Hacking on the other hand, is a process of rapid experimentation across marketing, product, sales, and other areas of the business to identify the most efficient ways to grow a business. 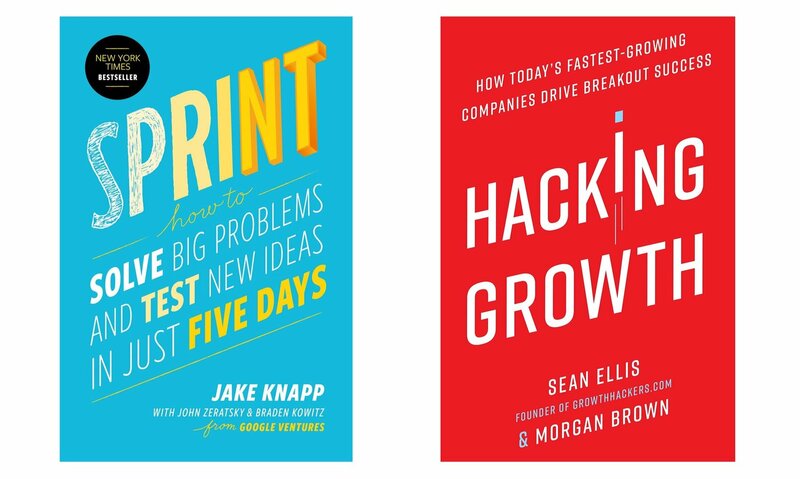 The book Hacking Growth by Sean Ellis provides probably the definitive playbook on running growth experiments. In the book, Ellis sets out that growth does not just come from the top of the funnel but anywhere within the customer lifecycle. For instance, ensuring that customers repeat or recur is just as important (if not more so) than getting new customers into your funnel at the top. The critical part to growth hacking is running small experiments with stated hypotheses and success criteria, so we can quickly learn if we are on the right track or whether we need to try something different. So what happens when the ideas from both books are munged together into a 2 day workshop? The team at Amplify and Form recognised that one of the most effective ways to help the 14 companies involved the program to grow would be to teach them a process for running growth hacking experiments. 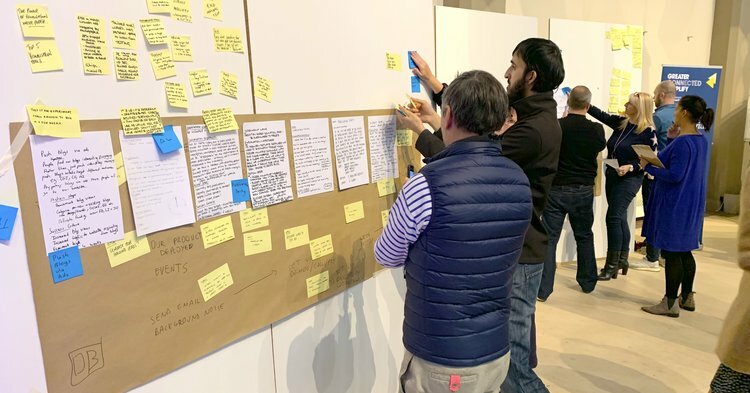 The team at Form worked with Jonathan Courtney, CEO at AJ & Smart, to design a 2 day Growth Sprint for us which would not just help us to plan some experiments to run, but also teach us how to run this process inside our business. The 2-day workshop was broken down into a number of exercises (mostly involving Post-It notes and Sharpies, as all good exercises do) and involved a lot of working alone on ideas before coming together as a team to present them and voting to prioritise areas to focus on. This method of working together but alone, a concept borrowed from the Design Sprint, allows everyoneâ€™s ideas to be heard no matter how quiet they might be and avoids the loudest (or highest paid) people overpowering discussions. The result is decisions are made much faster without breaking down into long drawn out discussions that donâ€™t get anywhere. ðŸš™ We looked at our customer journey through the lenses of acquisition, activation, and retention. For each stage of the journey, we identified challenges and bottlenecks our customers are facing. ðŸ¤·â€�â™€ï¸� Problems in themselves are not very constructive, so taking a page out of Sprint, we turned them into How Might We (HMW) questions. For example â€œHow Might We help a potential customer learn more about our product and how it can help themâ€�. ðŸ—º Next, we drew out a high-level Map of how a customer goes from first discovering us, all the way to successful implementation. Each HMW was scrawled on a sticky note and placed on the appropriate place on the map. Clusters on the map identified areas that we should focus on. ðŸ“ˆ Finally (again together, alone) we worked on designing measurable experiments we could run within a 4-6 week timebox which could help our company to grow. ðŸ”� Having had practise from day one, we now were able to focus on a different area of the map and repeat yesterdayâ€™s steps to quickly come up with another set of growth experiments. ðŸ�” After lunch, Sean Sankey from Form gave us some good ammunition on building habits into our business to ensure that we make growth experimentation part of our culture. âœ… Finally we had a final exercise to select 2 experiments to run and document specific actions with owners to ensure we didnâ€™t just forget all about it after we left. Well, firstly we have 4 well formed growth experiment one pagers to run which is incredibly valuable for us. If you want to find out more, keep an eye on AJ & Smartâ€™s YouTube channel - they will be posting a video on our experience shortly.